I had never heard of the North American Aircraft plant when the Frank Wiggins Industrial Art School sent me there. I was fresh out of the Summer 1942 12th-grade graduating class at L.A.High, and just turned 17. My only previous employment was as a stock boy and checkout counter bagger at a local A&P. We were at war, and the defense industry was already in full Swing-shift. Getting a job was a no-brainer at that time. It was said that all an un-drafted young man had to do was stand on any street corner with a blank stare, and someone would rush up and offer him a job. So my professional career started at the North American Aircraft plant in Inglewood, CA, southwest of L.A. The War Effort was dominant. At L.A.High a stream of military and industrial recruiters were visiting and recruiting. There were many opportunities – duties – to serve. 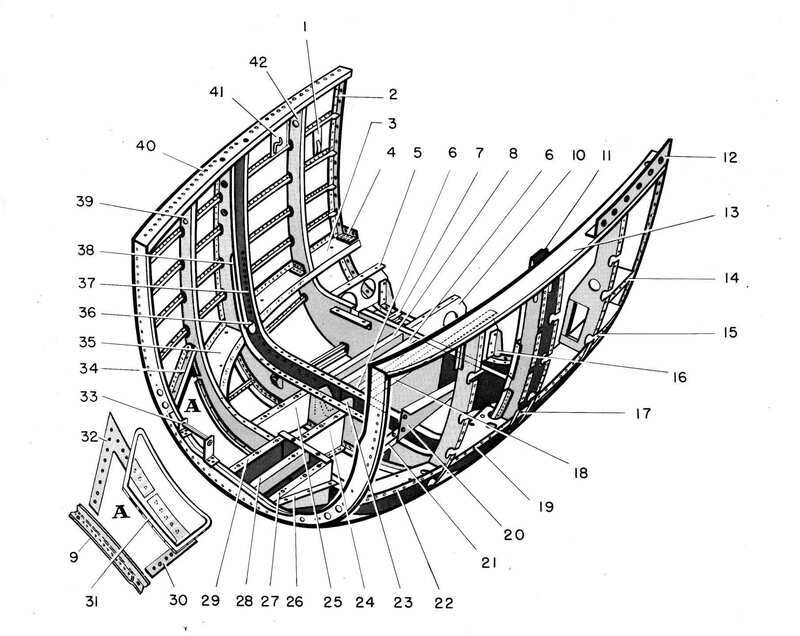 One that was offered to me was to become a Parts Catalog illustrator at the North American Aircraft factory, makers of the B-25 Billy Mitchell bomber, and the sleek P-51 Mustang fighter plane. But first I had to take an intensive six-week course in blueprint reading, perspective drawing, “exploded” parts rendering, ellipses, precision inking, stippling, nomenclature, metallic surface rendering, textures – all the details of technical illustration. It was an important job, with the added attraction of delaying my induction into the infantry. 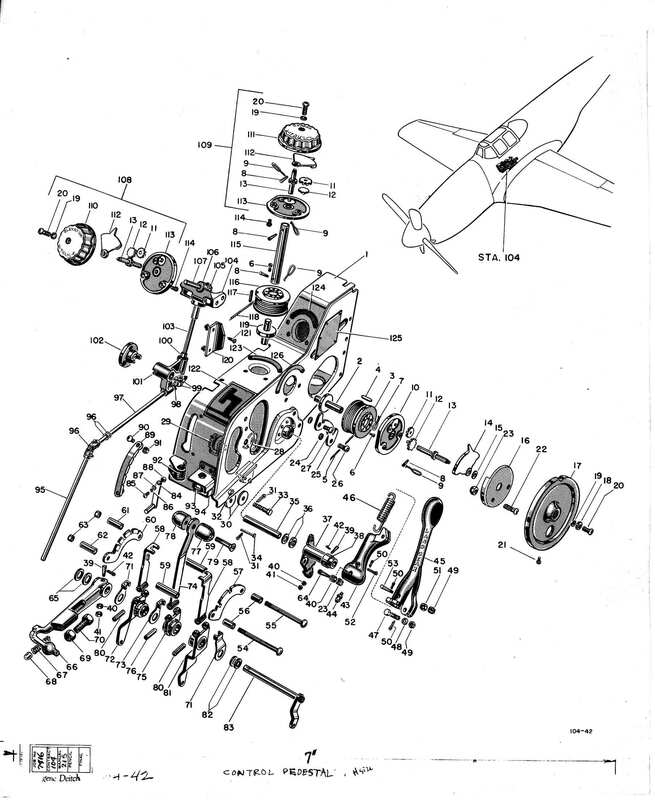 On the basis of my Frank Wiggins Industrial Art School class drawings, North American Aircraft duly hired me, and put me into their Parts Catalog Art Department. I was just 17 years old, dropped into a group of professional technical illustrators, all well above the age limit for military service – a boy among old pros. The pay was sensational: $45 a week! It was more than my father had ever made as a salesman! Not only was the pay great, but it came with status. Every employee in the huge factory was issued a badge, the number and color of which restricted the wearer to a specific area of the plant. It was on National Defense Security, and nearly all of the employees were kept from wandering around, with any chance to see the entire assembly process. But 18-year-old Gene Deitch got a badge that allowed access to the entire assembly process of the legendary P-51 Mustang fighter and the B-24 Billy Mitchel bomber! The routine was explained to me. I would be given the name and part number of the item I was chosen to illustrate. The particular unit would not yet actually exist. Its components were just being produced. All of the often hundreds of tiny rods, levers, screws, washers, nuts, castings, grommets, sealing rings…whatever, would soon be arriving in trays onto the factory floor, to be meticulously assembled by untrained – and mostly draft-free – women. Our job was to create a special type of drawing called an “exploded view,” showing each and every part strung out in space, numbered, and in the exact order they were to be assembled. On the same page would be a carefully rendered drawing of the assembled part as it was supposed to look when properly put together. It all had to be perfectly clear to any worker, no matter how unskilled he or she might be. 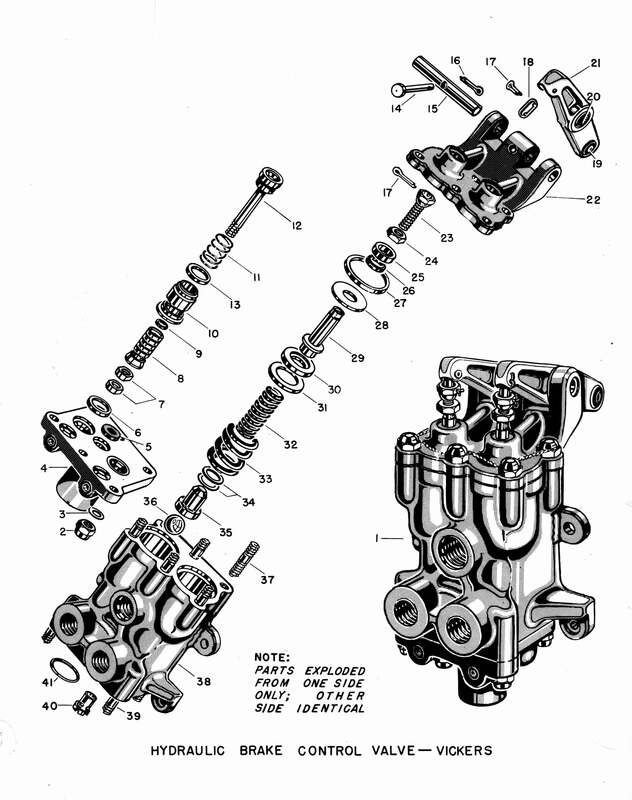 The problem for us doing these precise drawings was that the assemblies did not yet exist. We had to create our drawings only by studying the technical blueprints made by the design engineers. The actual area where I worked was in a remote restricted area where the blueprints were stored and the parts catalog pages were drawn. There were about twenty of us set to work there. I was the baby of the group. All the others were older, usually beyond draft-age, veteran technical illustrators. To fulfill the gigantic production goals for these war planes, the factories had been filled with untrained workers, who could not read blueprints nor had any experience in assembling complex units. We in the Parts Catalog Department had to be trained to read and understand technical „blueprints.“ Actually, even then, so-called „blueprints“ were no longer blue, but were duplicated on „Ozalid“ machines. That was the down-side of our task. Those machines exuded a powerful stink of ammonia, which when combined with the pervasive cloud of cigarette smoke, produced by all the artists except me, a stubborn non-smoker, made this a decidedly unfriendly smelling work space. Through this haze, what we illustrators had to do was study the blueprints for the parts we were assigned to render, and figure out and draw the not-yet-existing assemblies so perfectly that even untrained workers could see and understand how to put them together. After all, other young men would be risking their lives flying planes full of parts that we drew. We had to render them correctly enough to ensure they would be assembled precisely as designed, and of course would perfectly function! Reproduced here are a few of the drawings I made in 1941. I had overcome the sniggers, and was soon being assigned the most complex parts to render. When I turned 18, reaching draft age, and the war was on, not even the pleas of the department head could keep me from being called to the army. And I haven’t mentioned one thing: The „blueprints“ (Ozalids) we worked from had to be checked out from a booth at the edge of our work area. The booth was serviced by a blue-eyed, young woman named Marie Billingsley. I knew that if I drove someone to work I could qualify for an “A” gasoline sticker for my car, allowing me a larger ration of gas. So I convinced Marie to become my passenger. She did, and she eventually also became my wife and the mother of my three sons, Kim, Simon, and Seth. That’s for another book. My grandfather worked there as a sheet metal worker in 1945. Do you know what is there now or the old address? As I recall, the address was simply Inglewood, California. I have no idea what is now on the site of the North American Aircraft factory! Just getting back to your “credits” pages, and decided to go back and read them in order this time, because I had been skipping around here and there and had only read a couple up to this point. 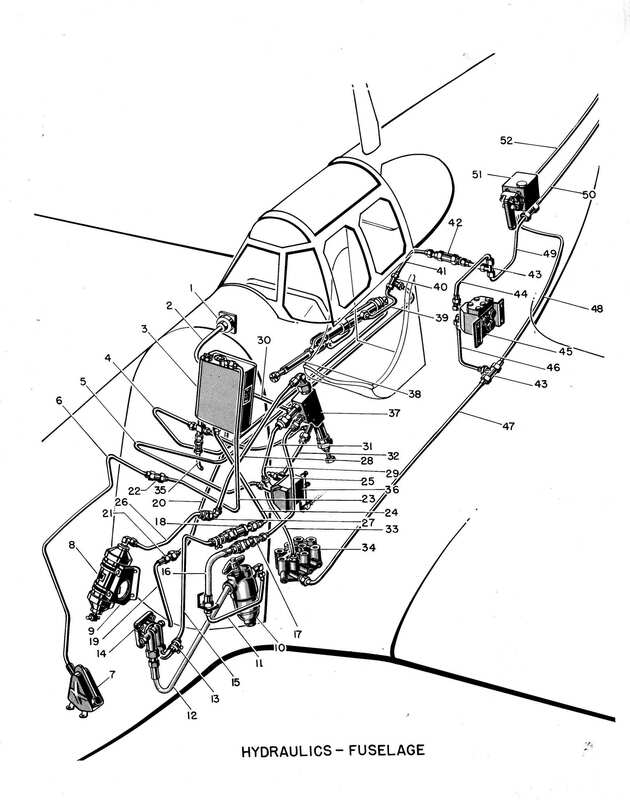 About the technical illustrations you did at North American Aircraft (which seem so incredibly complex that I have no idea how you could ever have figured them out unless the blueprints were already drawn the way you drew the “exploded parts”, in which case there would have been no need for your technical drawings.) So how did you ever figure out what each and every little part looked like and where to put each part in what order?! The North American Aviation catalog drawings were indeed difficult. The blueprints i worked from only showed the top, side, and front views of the complete, assembled parts, which were not yet actually produced. 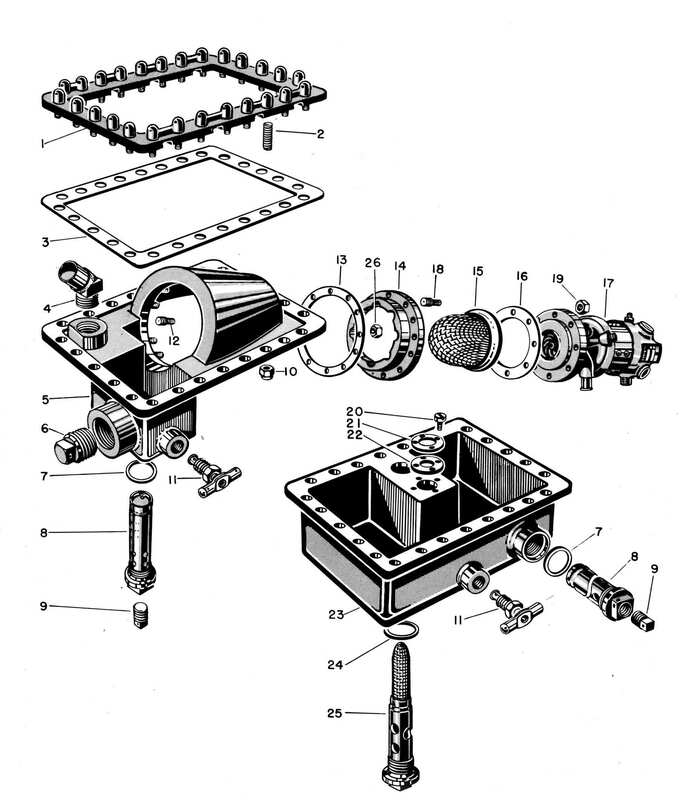 The blueprints listed all the component parts by name, But I had to study how washers, sealing rings, nuts, bolts, etc. looked like. It took many days to make each drawing. It needed a close study to see in which order the individual elements, down to the tiniest washers, had to be assembled. I had to just virtually “spread them out” in my mind. I imagined taking apart an assembly that didn’t yet even exist! The only assembly I actually saw on the factory floor was that bomber nose structure. Everything else was just technical blueprints. I learned much about precision in that factory . It was also applicable to cartooning! This chapter is TOTALLY fascinating. Kim, I’m happy that you’re following my story. I realize that there are many things in my early days you hadn’t known much about. Stay with me for a steady stream of revelations, as I lived some of the times you have an interest in. One thing just popped into my memory: was the name of one of the older technical illustrators I worked among at North American Aircraft ; a name that sounds like something you might have made up: “Corliss Trembath.” That’s the one name I can remember. How could I forget such a melliflulous moniker ? However, even with a name that rolls off the tongue, and conjures up an exotic character, he was in fact a rather ordinary guy. Corliss E Trembath, born 1906 Washington State, was my Dad’s cousin although they likely never met. He was born Corliss Young, but his parents divorced and Corliss changed his name to his mother’s surname. I have always wanted to know what became of him. His father also had an unusual name, Reaby Young 1873-1966. My gosh! Corliss Trembath is a name that forever rings in my memory! Once heard, it’s a name never to forget! I can even grasp an image of what he looked like; dignified. He was my “father figure” among the group of technical illustrators at North American Aircraft during WW 2. He helped me, while some of the other guys main idea of fun was to tease me. To hear from one of Corliss Trembath’s relatives is another one of the miracles in my life. PLease tell me more. This is too great a connection to lose! Thanks for your memories. I enjoy seeing the work that you did at North American Aviation. You talk about those “Ozalid” (diazo) machines. Of course I made my living running them in the ’80’s. God, they stank! Finally, as of about eight years ago they were finally history completely replaced by less stinky electrostatic copiers!